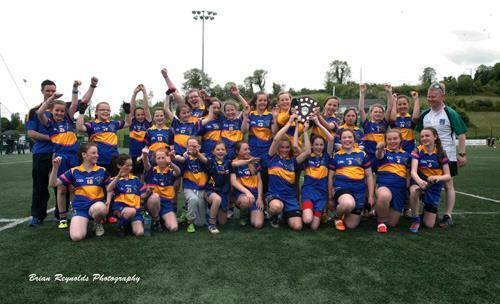 Dernakesh NS claimed the Allianz Cumann na mBunscol Division 3 girls football final, when they overcame a gallant Ballyhaise NS challenge, on the 3G pitch in Breffni Park, on Saturday, 13/6/2015. 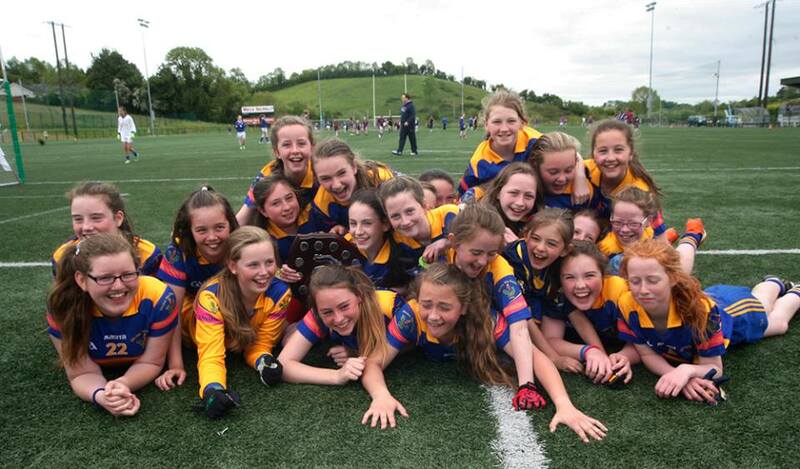 Dernakesh NS opened the scoring 2 minutes into the contest when their captain Leah Cosgrove, slotted over a neat point. Tara brady for Ballyhaise NS equalised a minute later from a free to leave the sides level. 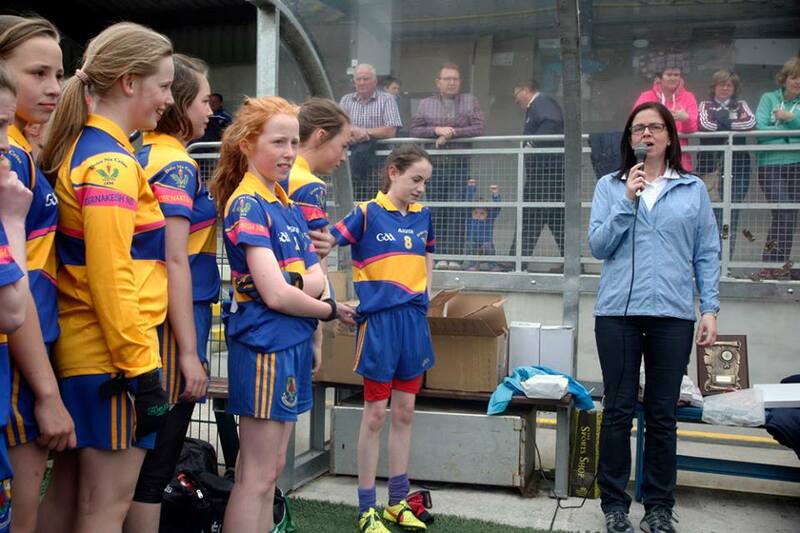 Sarah Clarke and Cosgrove combined to set up Hannah Mc Cann, who split the posts to leave Dernakesh NS, back in front. Sarah Clarke who played a pivotal role in her side’s display, shot two points in quick succession, to leave 4 points to 1, after 9 minutes in Dernakesh NS favour. Tara brady reduced the lead a minute later with a point from play. Bernadette Moore started an attack that was worked through the hands of Mc Cann, with Jasmine Liken supplying the finishing touch, to leave it 5 points to 3 and 13 minutes gone. Dernakesh’s Ciara Fitzpatrick, was foiled a certain goal, in the 14th minute, when Grainne Boyle made an excellent save in the Ballyhaise goal. Liken and Aoibhe Morris tagged on a point apiece, for Dernakesh to move them into a 7 to 3 lead. Chloe Reilly burst through from her midfield berth, to dissect the uprights and close Ballyhaise deficit to 3 points. Leah Cosgrove pointed from play in the 19th minute and just before half time, dernakesh struck for a goal. 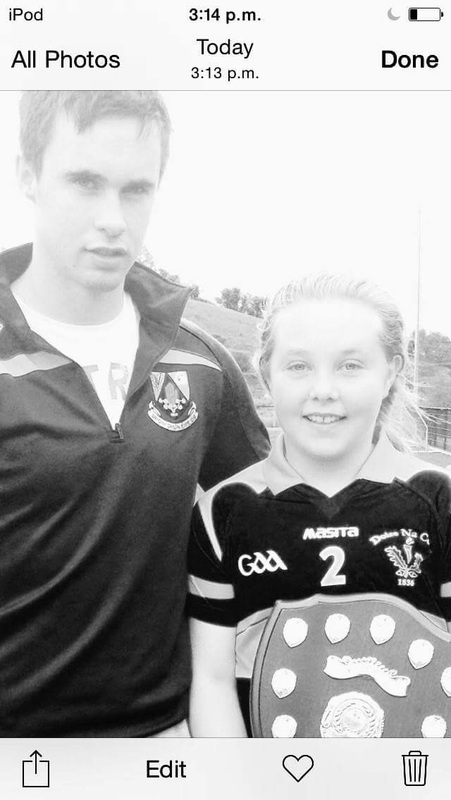 Morris played a superb pass into Hannah Mc Cann, who finished with composue to the Ballyhaise net. This ensured that Dernakesh carried a 1-8 to 0-4 lead into the half time break. Liken, who had a fine game for Dernakesh, fired over the first point of the second half, to further extend her schools lead. Lucy Jane Grant point from a free for Ballyhaise, before Cosgrove add another classy point for Dernakesh, to leave it 1-10 to 0-5 and 25 minutes played. Sarah Clarke tagged on two points to extend the Dernakesh advantage. 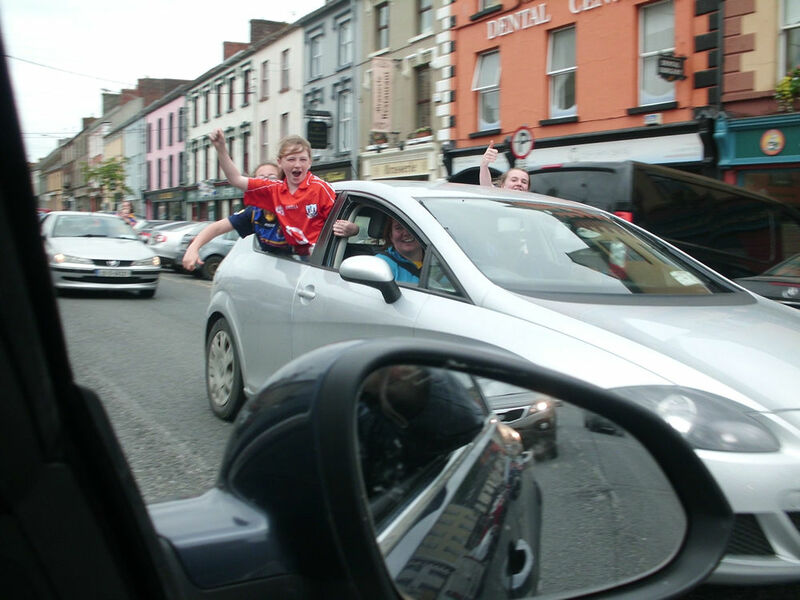 Ballyhaise then began a stirring comeback, in which Lucy Jane Grant and Tara Brady were both excellent. Lucy Jane Grant smashed in a Ballyhaise goal and added a point a minute later, and Tara Brady added another point to leave Ballyhaise trailing by 1-12 to 1-9. It was now game on, with only 3 points between the two sides. 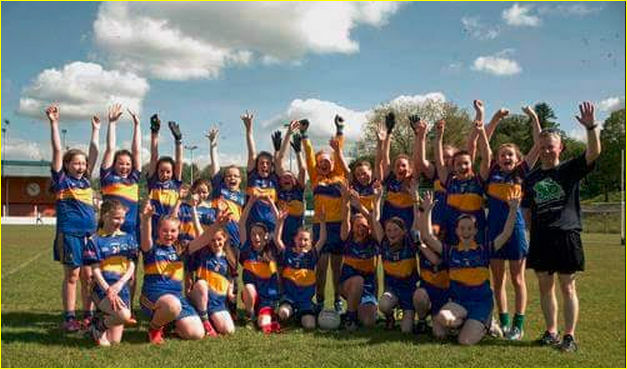 Dernkesh however, calmly kept their composure with Sarah Clarke leading the way with two points, one from play and one from a free, to seal a well deserved 5 point win for the girls from Drumgoon. 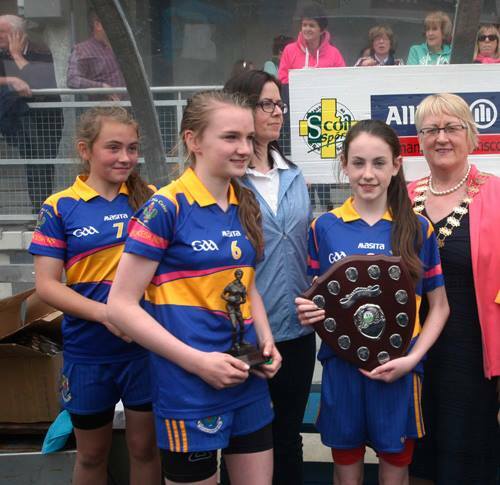 The cup was presented to the winning captain Leah Cosgrove and Sarah Clarke, won the girl of the match award.